Closer home, 2.0 has fetched Rs 14.59 from Chennai alone, while it earned Rs 18.17 crore in Nizam. Rajinikanth and Akshay Kumar's 2.0 has been making waves in the global market. Since its release on November 29, 2.0 has been dominating global box offices. At home turf too, there is no stopping Shankar's 2.0. With Rs 500 crore in its kitty, 2.0 has also become Akshay Kumar's highest-earner, surpassing his previous hit movie, Toilet: Ek Prem Katha. 2.0's enviable success comes on the back of its international collection along with the Hindi version's earnings. In the US, 2.0 made Rs 29.28 crore, while it made Rs 5.55 crore in the UK. 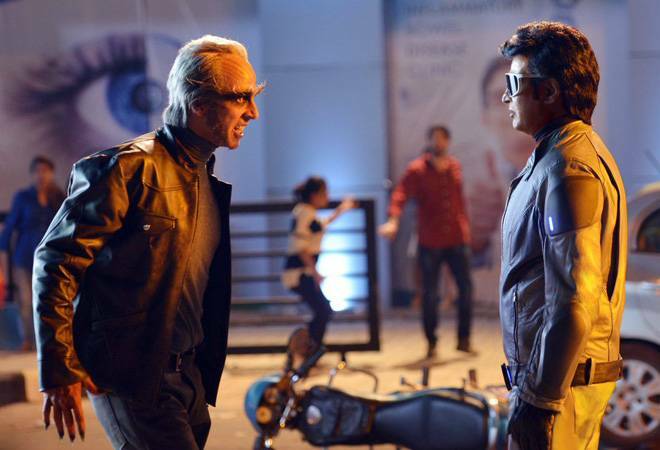 In Australia and New Zealand, 2.0 made Rs 5.86 crore and Rs 1.10 crore respectively. Rajinikanth's 2.0 made Rs 17.70 crore in four days in UAE and has shot right to the top of highest-grossers. Shankar's 2.0 has far surpassed Hollywood's big releases like Fantastic Beasts: The Crimes of Grindelwald, Ralph Breaks the Internet and Bohemian Rhapsody. At the #UAE Box Office, #2Point0 Opened with a Monster gross of $2,504,642 [â‚¹ 17.70 Crs] for the 4-day Opening weekend.. In neighbouring Pakistan and Sri Lanka, 2.0 has made Rs 1.75 crore and Rs 2.82 crore so far. Closer home, 2.0 has fetched Rs 14.59 from Chennai alone, while it earned Rs 18.17 crore in Nizam. In Kerala, 2.0 made Rs 18 crore. While the Hindi version collections are still awaited, 2.0 had made Rs 132 crore till Wednesday. Sara Ali Khan's Kedarnath that released today has not garnered positive reviews. So, while the interest around Khan remains, it may not be enough to take on 2.0.